Construction of three towers can be seen - the Collection, Waena and Anaha. More single-family homes on Oʻahu have sold for $10 million or more during the first nine months of 2018 than in each of the past 18 years, as reported by PBN real estate editor Janis Magin. At the same time, new luxury condos in Honolulu are also appealing to ultra high-net-worth-buyers. 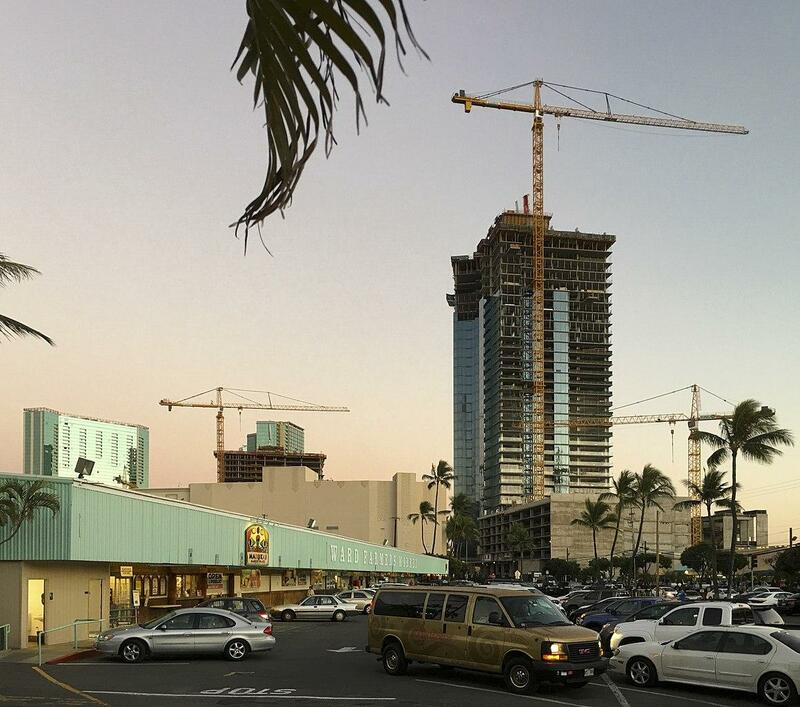 Park Lane Ala Moana and the Waiea tower in The Howard Hughes Corp.’s Ward Village both recorded sales of $10 million or more during the first three quarters of the year. They were the only condominiums on Oʻahu to do so. Waiea currently has two penthouses on the market, listed at $35 and $36 million. 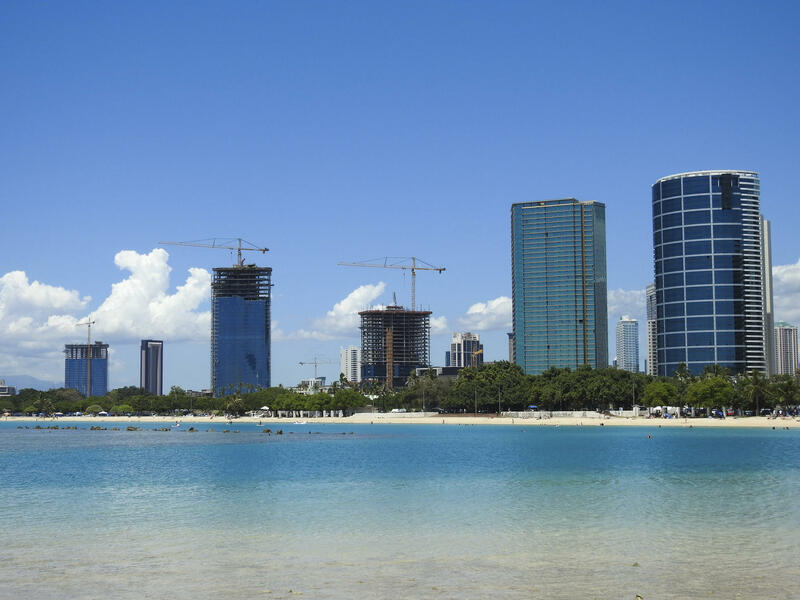 Three of the $10 million-plus sales in Park Lane and Waiea went to local buyers, while units in these buildings plus the Anaha tower by Howard Hughes that sold for between $1.6 and nearly $8 million dollars were often purchased by foreign buyers, especially from Japan. The construction of Waena and Anaha towers in 2016. High as those prices sound, they are a bargain for people in the ultra high-net-worth category. Hong Kong, for example, posted a single sale at $360 million last year. That city, plus London, New York, Singapore and San Francisco are the top five global cities for luxury property, according to Christie’s International Real Estate, a market that grew 11 percent last year. In the single-family home market, 10 have sold so far this year for between $10 and nearly $19 million. Last year, just two sold for more than $10 million. Hawaiian Airlines and Japan Airlines are teaming up in a joint venture to keep up with some very big competition.